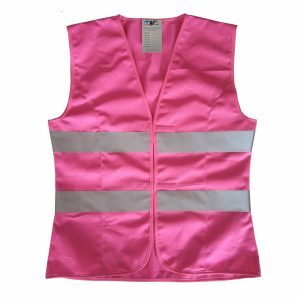 Materials: 100% polyester knit, or 100% polyester mesh. 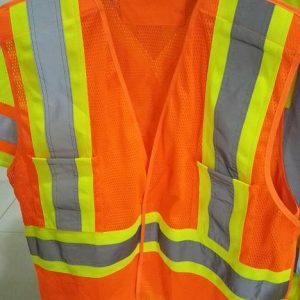 one horizontal and two vertical 2″ silver reflective tape. 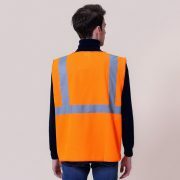 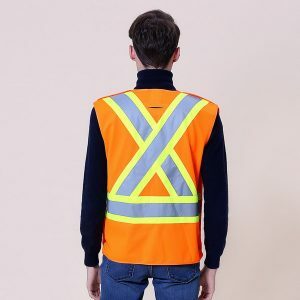 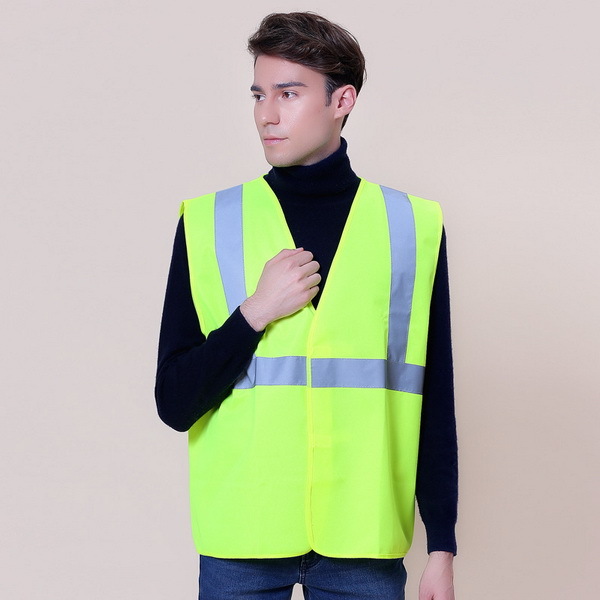 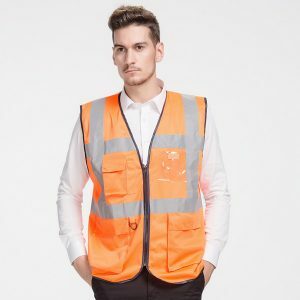 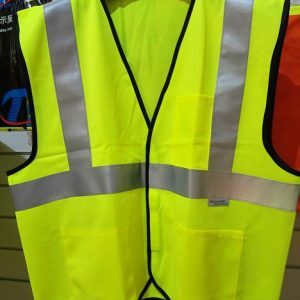 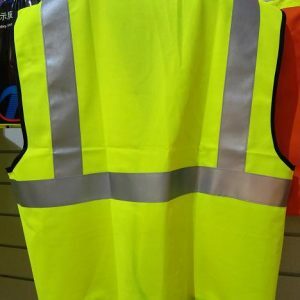 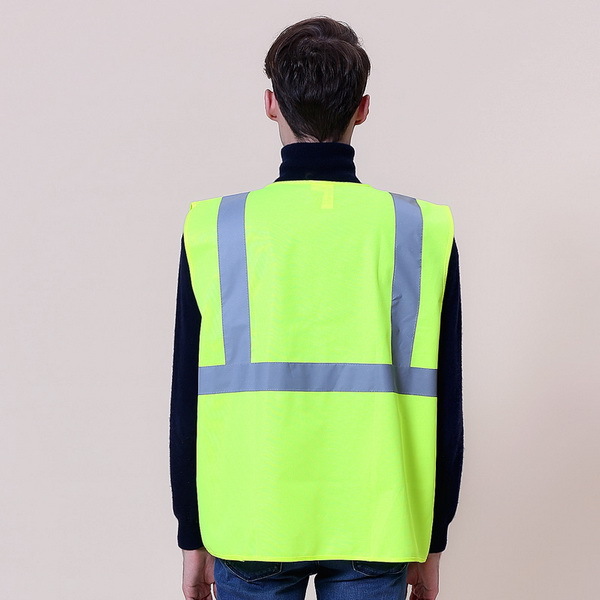 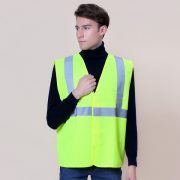 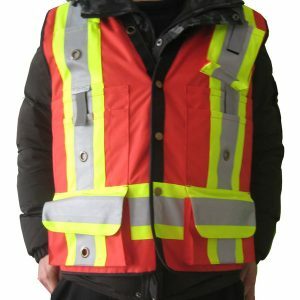 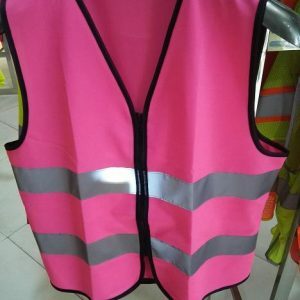 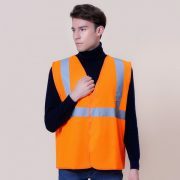 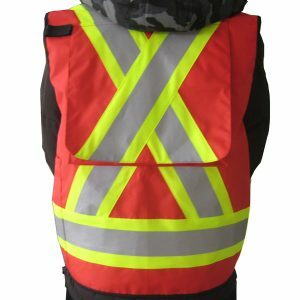 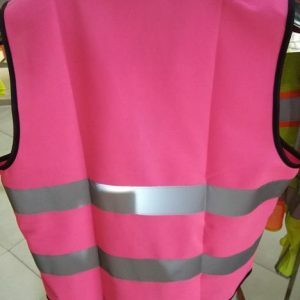 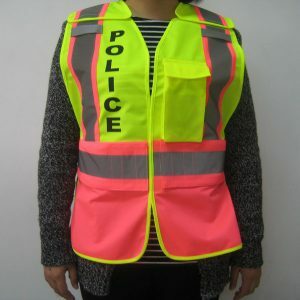 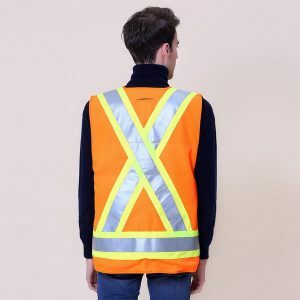 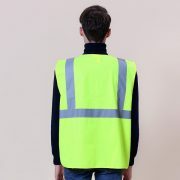 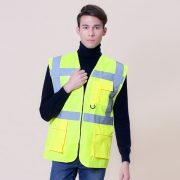 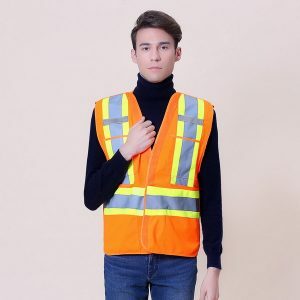 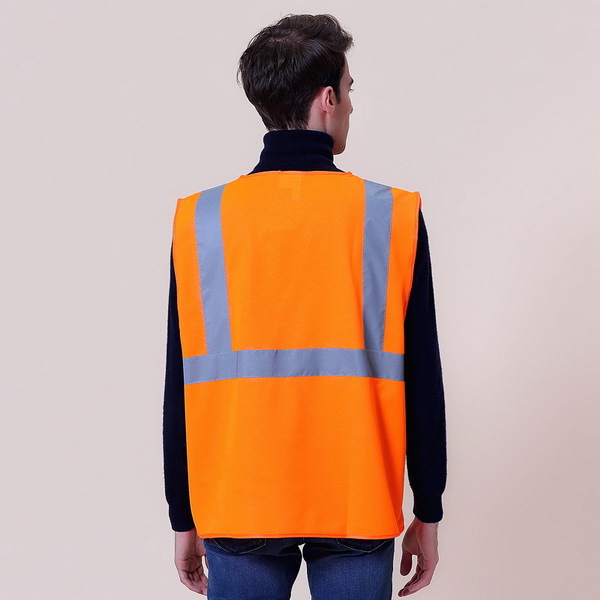 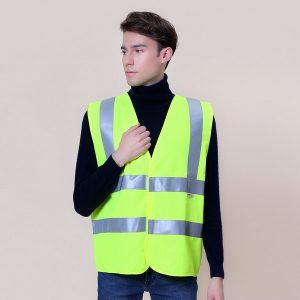 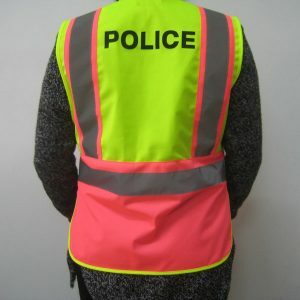 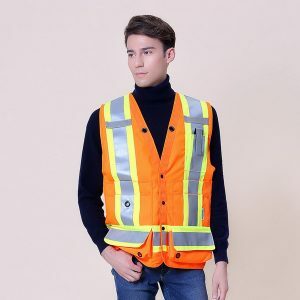 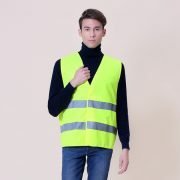 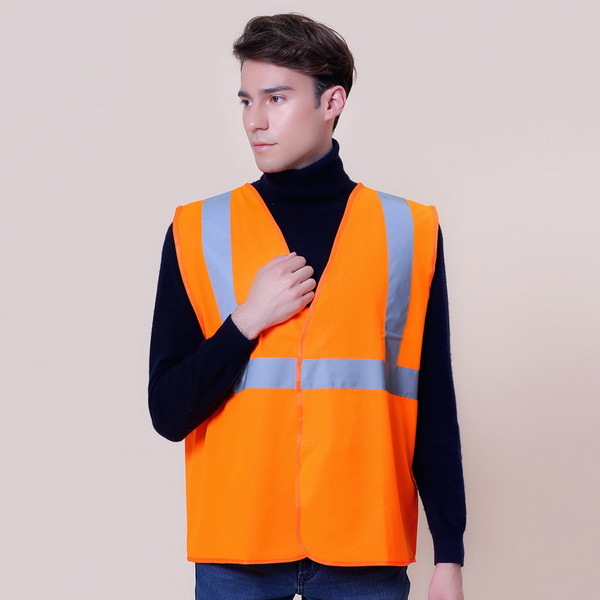 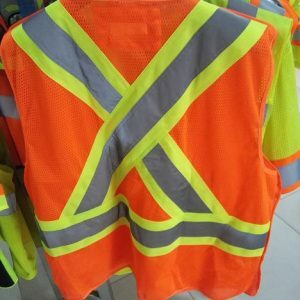 Available in high visibility orange and yellow.